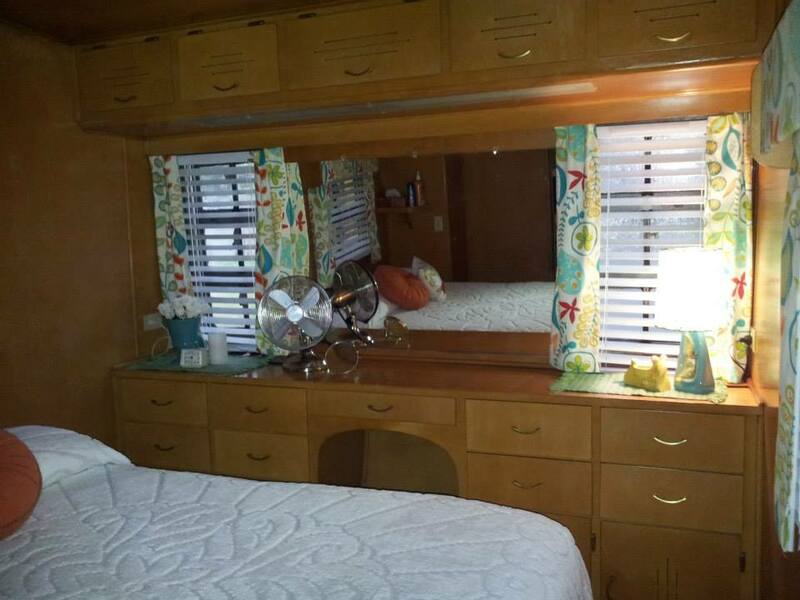 The owners, Steve Salatino and Mike Richardson, have done a great job on this vintage mobile home restoration. 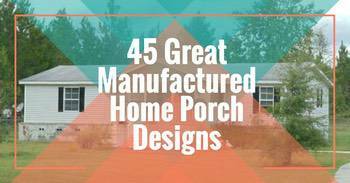 They brought it back to its former glory, taking great care to feature the home’s best elements. 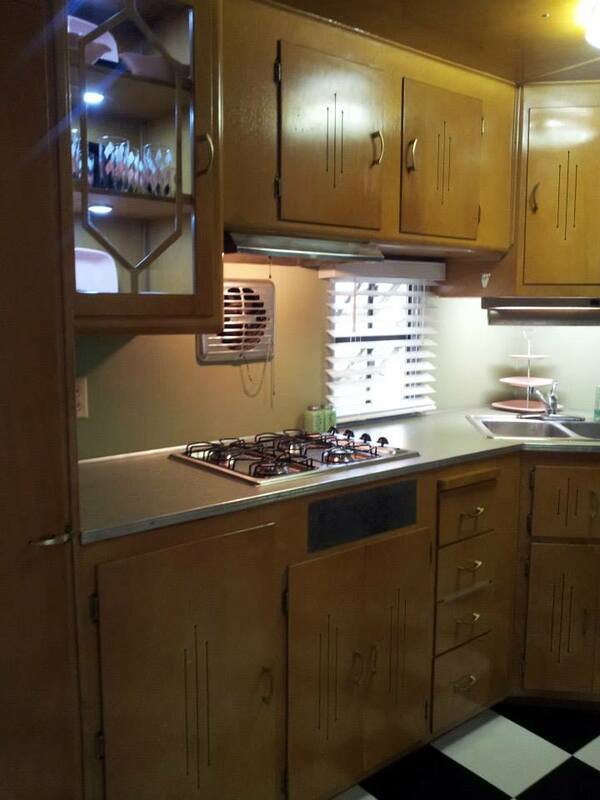 The wood paneling is beautiful, the exterior colors expertly chosen, and the cabinetry is magnificently mid-century! The couple found this great home in a park in Central New York. It had been through several owners and most recently used as a rental. 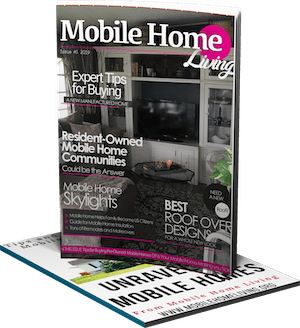 Throughout the years this vintage mobile home had lost its luster but thankfully the home found its way again with the help of loving owners that appreciated the form and history of the home. They even found old Smoker Aristocrat advertising to ensure they rejuvenated the home as closely as possible. Steve gave us a rundown of the various projects they have completed between May and the end of September of this year. 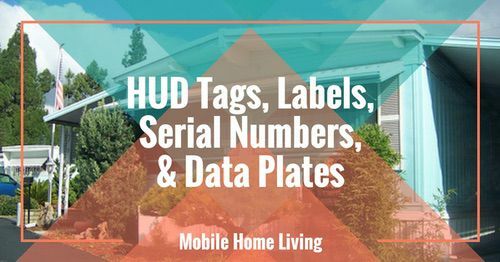 Here’s the beautiful home along with some notes on the couple’s vintage mobile home transformation. 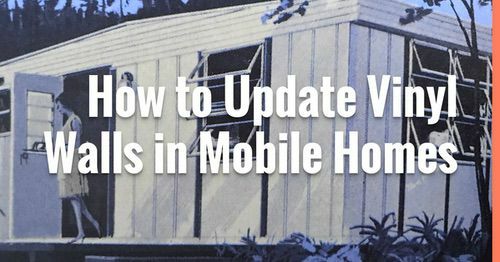 The exterior received numerous updates during this vintage mobile home restoration, the most prominent change being new paint. Steve and Mike took special care to use an original painting style with a color inspired by the New Moon trailer from the classic movie, “The Long Long Trailer” with Lucille Ball and Desi Arnez. The yellow and with the silver aluminum are perfectly paired. Exterior lights that had been painted over were properly replaced as well as the back door and wrought iron corbels that had gone missing. Fortunately, the corbels were found in the camp campground scrap yard! The owners also replaced the back door and installed a deck which was purposefully kept low to emulate a patio, appropriate for the 1950’s style. 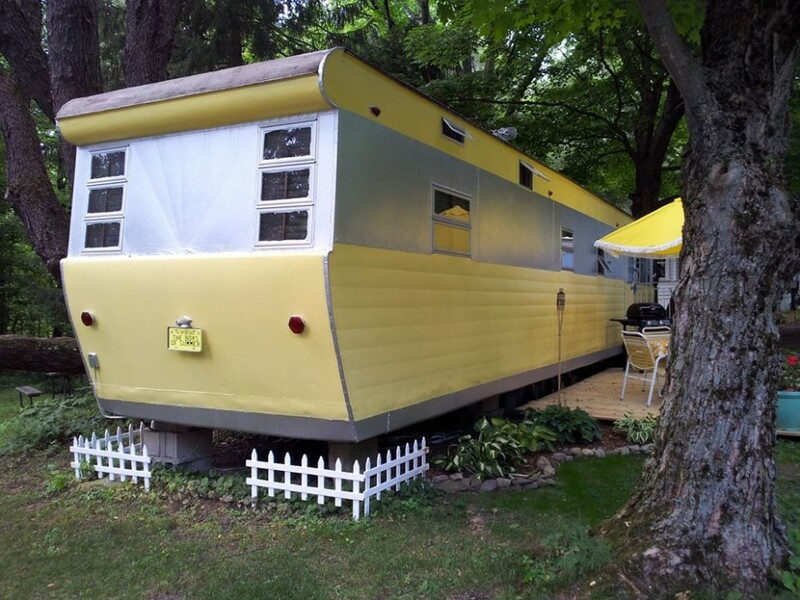 The exterior was just the beginning of this awesome vintage mobile home restoration! 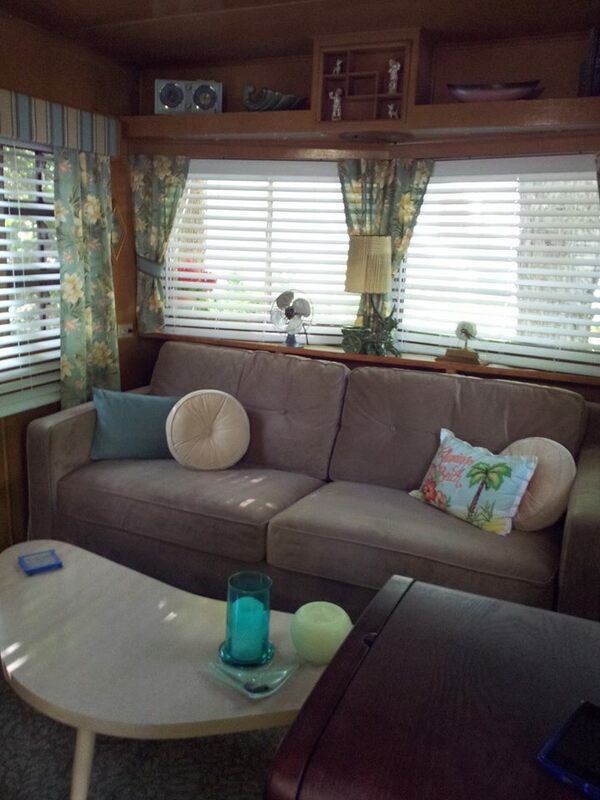 Fortunately, the original wood paneling, hardwood floors in the living room and bedroom, and the wooden valances were still in good condition so only a deep cleaning was needed. 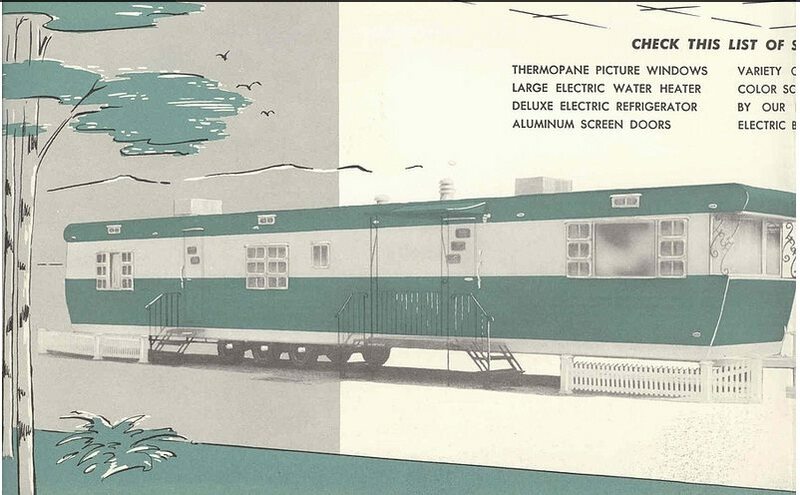 The careful thought of the furnishings and decor was a cherry-on-top of the 1955 mobile home restoration. 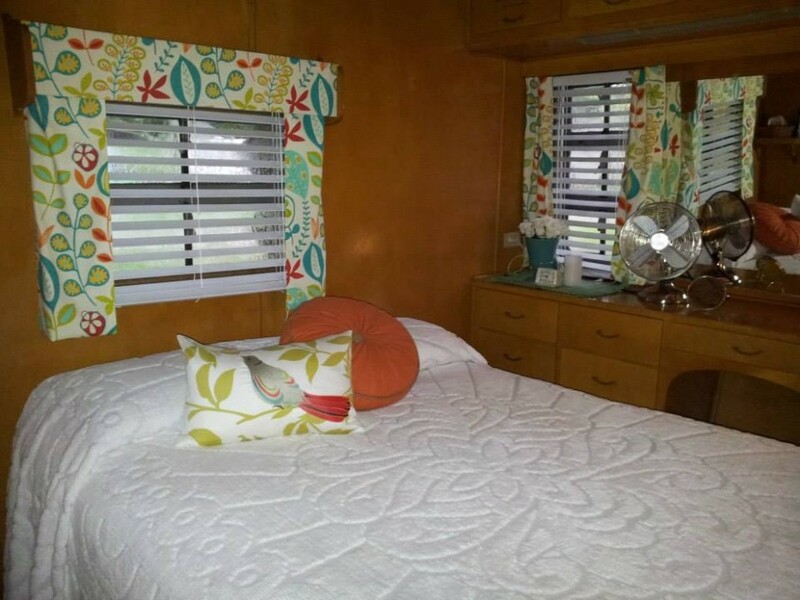 Perfectly chosen mid-century era furniture was brought in to compliment and complete the home. Era-appropriate curtains and shades were installed as well. They even brought in one of Mike’s childhood treasures – a record player/record stand. 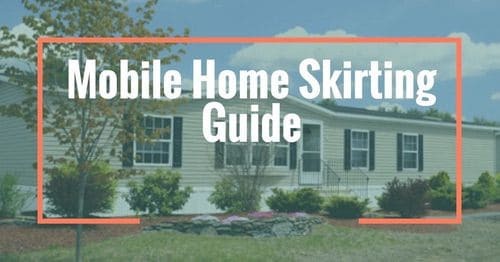 Only the kitchen and bathroom needed new sub-flooring during the restoration which is typical for practically every older mobile home – water and wood do not go well together. 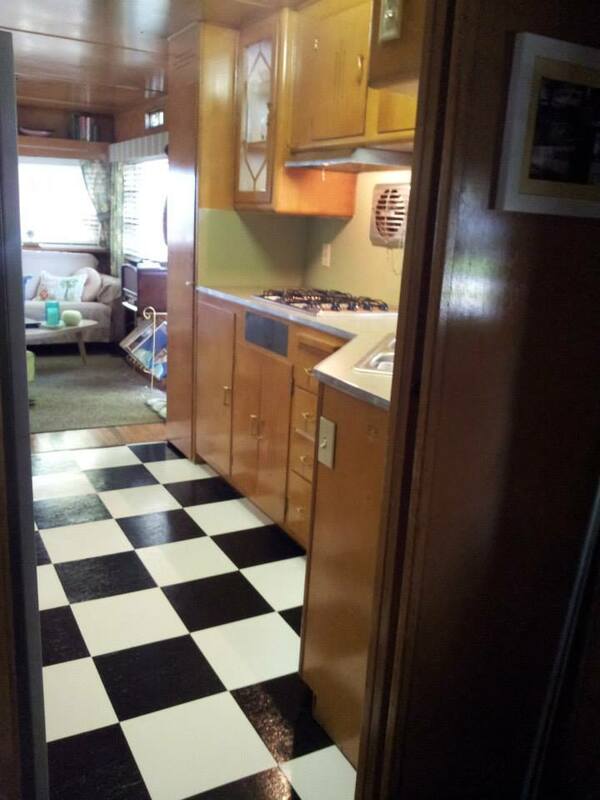 A grand black and white checkerboard floor were added to the kitchen that screams 1950’s style. “Original cook top had been removed and the original pink Formica counter top was cut to accommodate an oversized cook top that extended unsafely below the overhead cabinets. The original sink had long since been replaced with a stainless sink that was far too big for the counter top. Unable to find the original color for the counter top (at a price that wouldn’t break the bank), we replaced the counter with a green that was era appropriate, maintaining metal edgings and trim pieces. 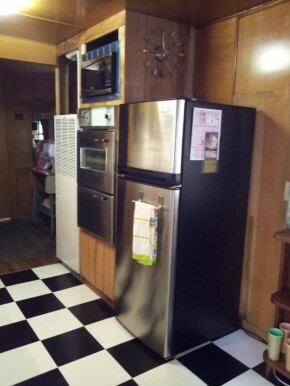 Vintage stainless steel wall oven was still in place, but cabinetry on the furnace, oven and refrigerator side of the kitchen had been replaced with very poorly constructed cabinets. The bedroom is a true walk through time! The original walls paired with the decor helps create a true 1950’s style inspired room. This includes Steve’s grandmother’s white chenille bedspread. When owners take special care to lovingly restore and re-capture an era gone by, it should always be appreciated. 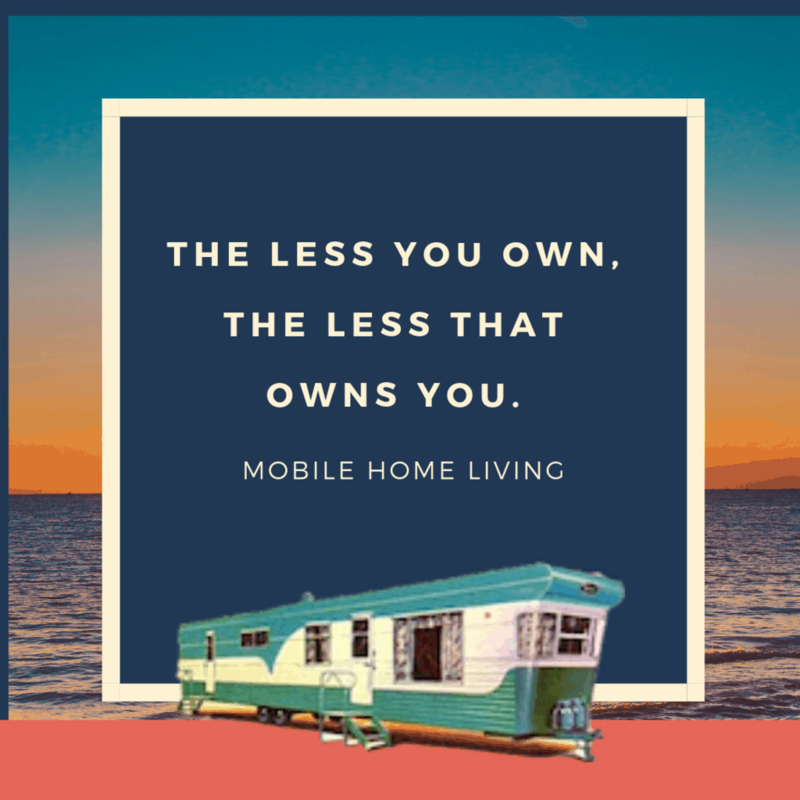 This is especially true when it’s a vintage mobile home restoration! Love vintage mobile homes? 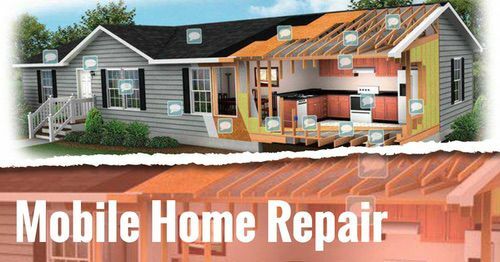 Check out these other great restorations! 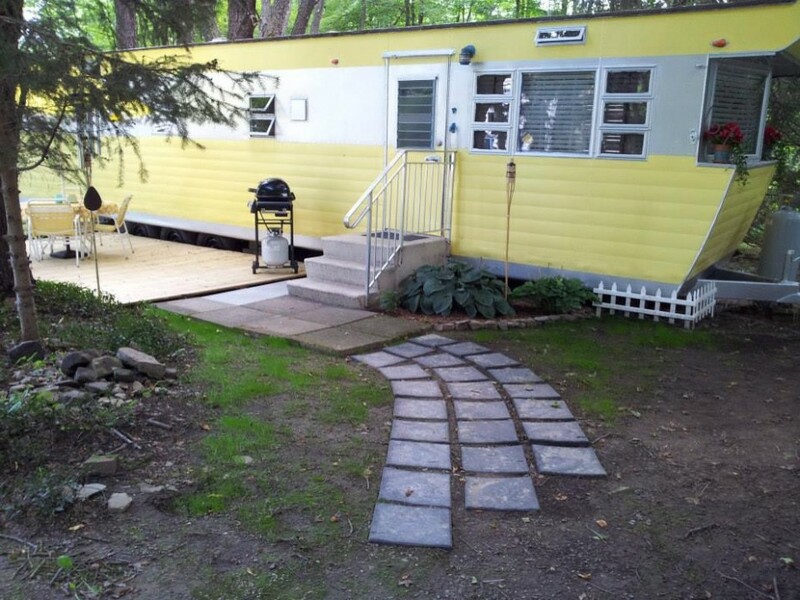 Thank you, Steve and Mike, for being a great steward for this mobile home – you have done a beautiful job! If I can’t get my hands on a clean 1953 New Moon, then, one like this would work!!!! Very nice. 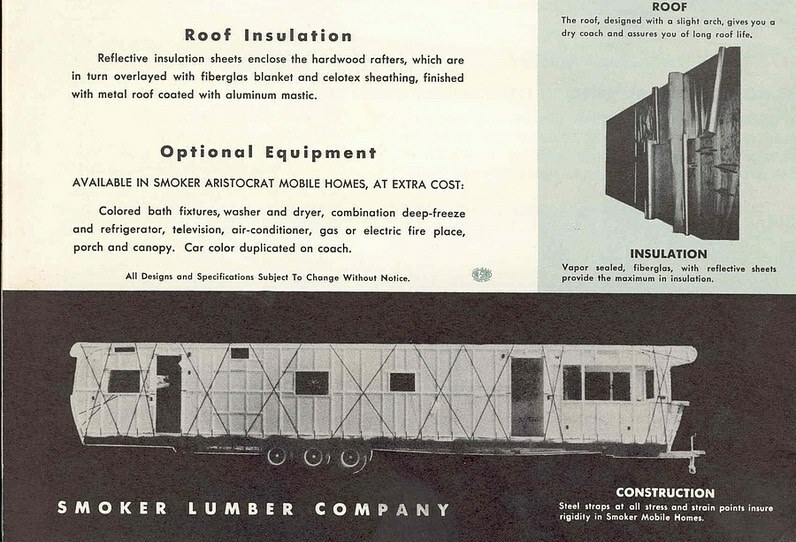 I was told that my home was made by the Mennonites of Indiana so I googled “Mennonites and the smoker lumber co.” I found that Jacob Smoker was the founder of the smoker lumber co. which made the smoker mobile home. Mennonites are very fine carpenters. I luv my home. Great to see your home. I currently live in a 1955 8×45 smoker. Very well built. I have the shower door if you need it. I`m sure you have found the hidden doors upfront. I’m 65 retired live in a simple plain rv. 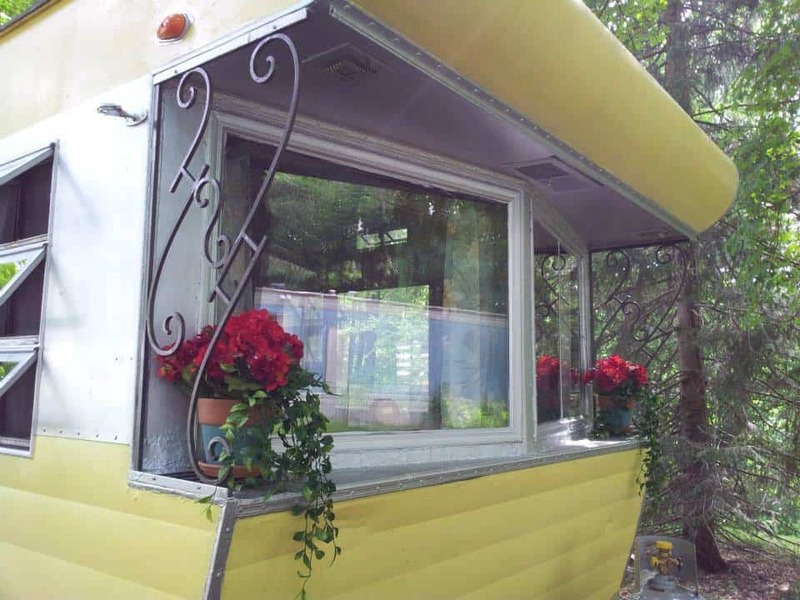 Your rv is called home, even thru the pictures its warm loveable…beautiful. Wow this is great. I am buying a 1963 Smoker, 10 x 44. It needs a lot of work but looks a like this one so great ideas! Thank you. This is a great restore. 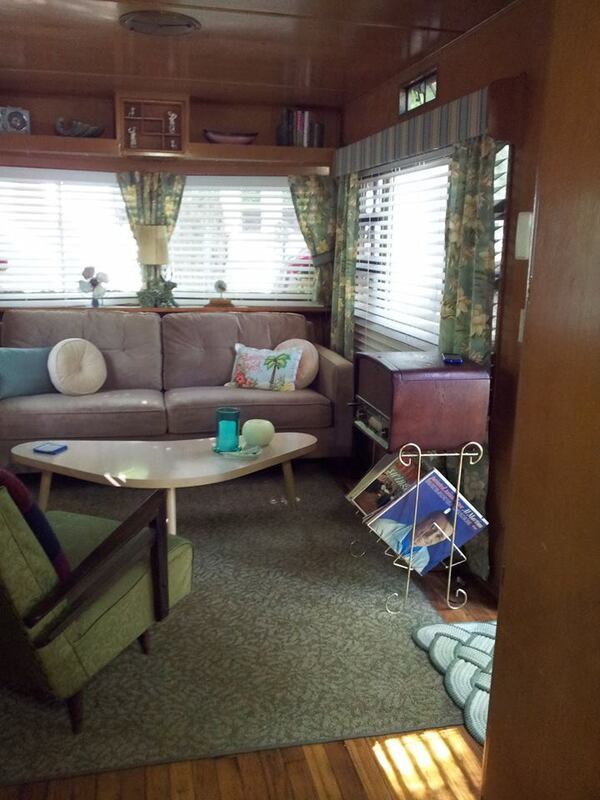 I just had the pleasure of buying a 1955 mobile home. Owner bought it in 1986 and remained in it for 30 years. I do have to make major changes as walls were painted and windows do no function. Converting from gas to all electric or possible propane as the main gas line is rusted. Live in CA so regulations will be darling to adhere to. Hopefully I can share my restore here. I would love to add your remodel! You’re going to have a great time making it yours – best of luck! Let me know when you’re finished! Thank you SO much for this story. I recently finished an update/remodel/refresh on a 1963 Lakeview. 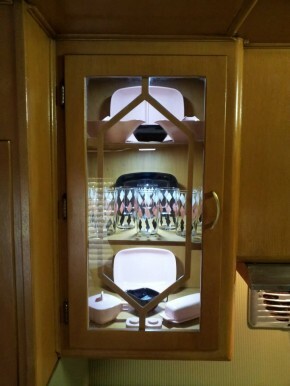 I was so happy to see that the Smoker Aristocrat had kept the original cabinets and the original wall vent system over the cooktop…me too! It is sometimes hard to find people who will work with the original design integrity of the space. It is OK,I think, to make compromises but make sure that those compromises are your idea and in the best interest of the space. Too many contractors and other workers just want to take the easiest and fastest route. (That is, gut the inside and replace with big box “design.” Usually expensive and tedious! )And Remember: contact paper on the inside of a cabinet is a nightmare but it can and will come off…eventually. Thanks Sarah! That’s the cutest little house – I love the idea of Airbnb and can’t wait to get to use it! I’ve removed the email signup form for now (it wasn’t cooperating with some code) but I’ll add your email manually, just confirm the subscription via email when you get it. 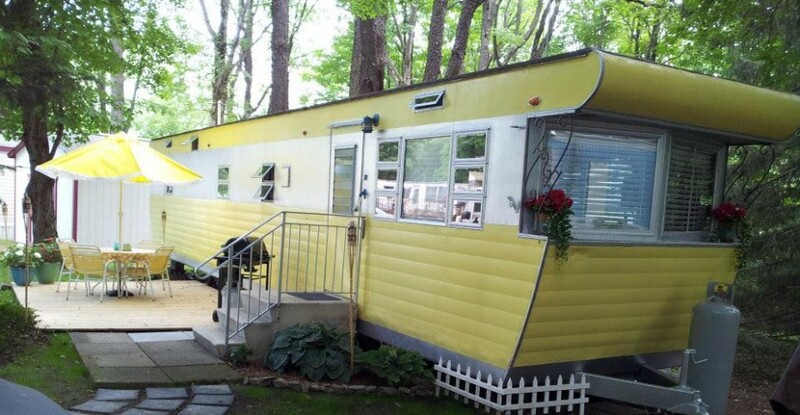 To be honest, paint is always the easiest the most affordable way to update a mobile home. Don’t forget about the ceilings – fresh white ceilings make a huge difference. After painting, I think new floors are the next best update. You don’t have to spend a lot of money. We put the cheapest flooring Lowe’s had (I think it was around .79 square foot) all through our house and I love it. It’s held up great too! If you want to go all out, maybe add some trim or molding around your ceiling and floors – it seems to bring a room together. I think you’ll find at least one or two homes that you like on the link above. Find that one you like most and then do your best to recreate it in your own home. Good luck! Wonderfyl job. Did i miss the bathroom? Hi Deborah! I think the owners were still working on the bathroom or just didn’t have photos but they have finished a few more projects and said I could do an update. I just need to get going on it! Thanks so much for supporting MMHL – I appreciate you! Oh my goodness! You guys did a FABULOUS job on this home. First of all you picked a gem. The front end is just darling. The materials and furnishings fit with their surroundings perfectly, and I just love that you’ve incorporated pieces from your childhoods into your home. The outcome is a testament to your devotion to one another and to creating a peaceful and serene living space. 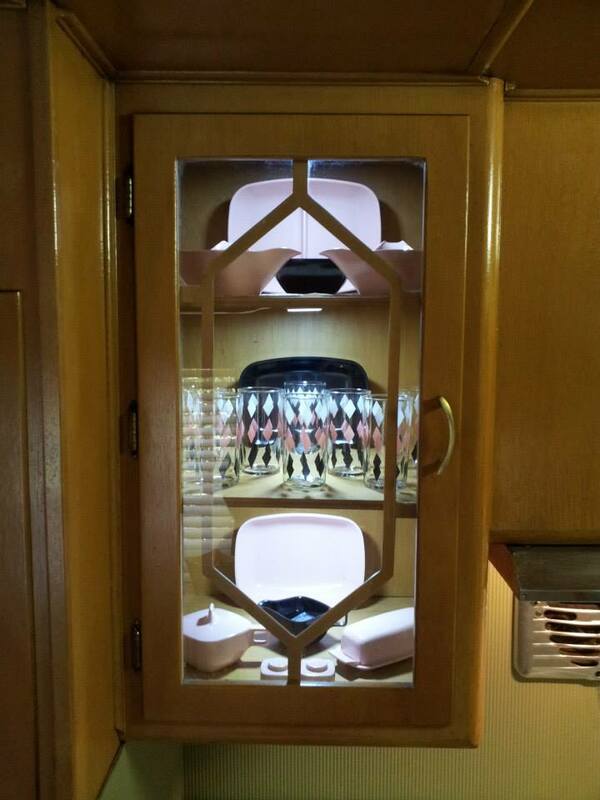 this renovation is almost historic….. i want a 1953 new moon!!! this inspires me to keep looking… great job!!! All I can say is wow and kept on saying that throughout this spread. Truly kept to the 50’s style and colours. 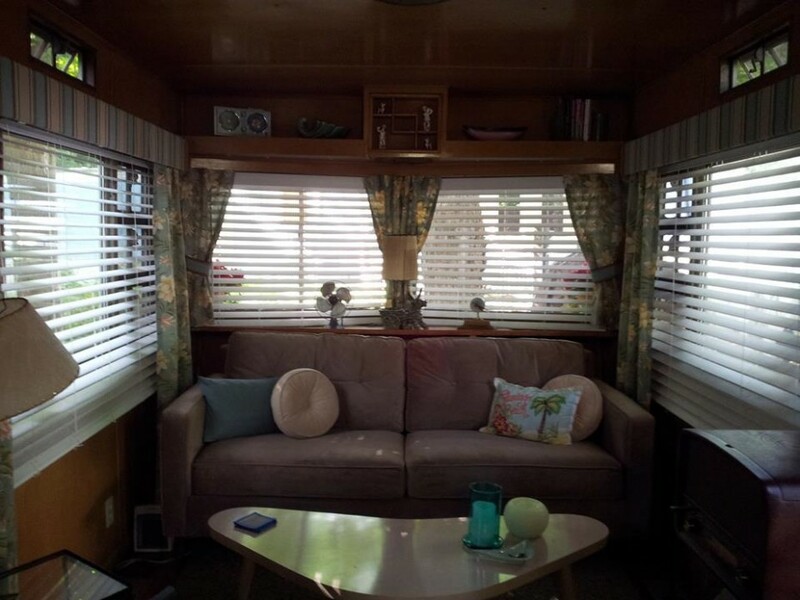 Love the curtains, love the checkerboard kitchen tiles, really suits the place. Love everything about this trailer and Steve and Mike, you should be sooooooo proud of your lovely work! Truly an inspiration to others. GREAT job. The first thing I saw inside was the boomerang-shaped coffee table! Yep! It’s the ’50s! Every item was carefully chosen, from the shell pottery in the living room to the dishware in the kitchen to the bedspread in the bedroom.